Make your home pop by adding this magnificent photo frame. 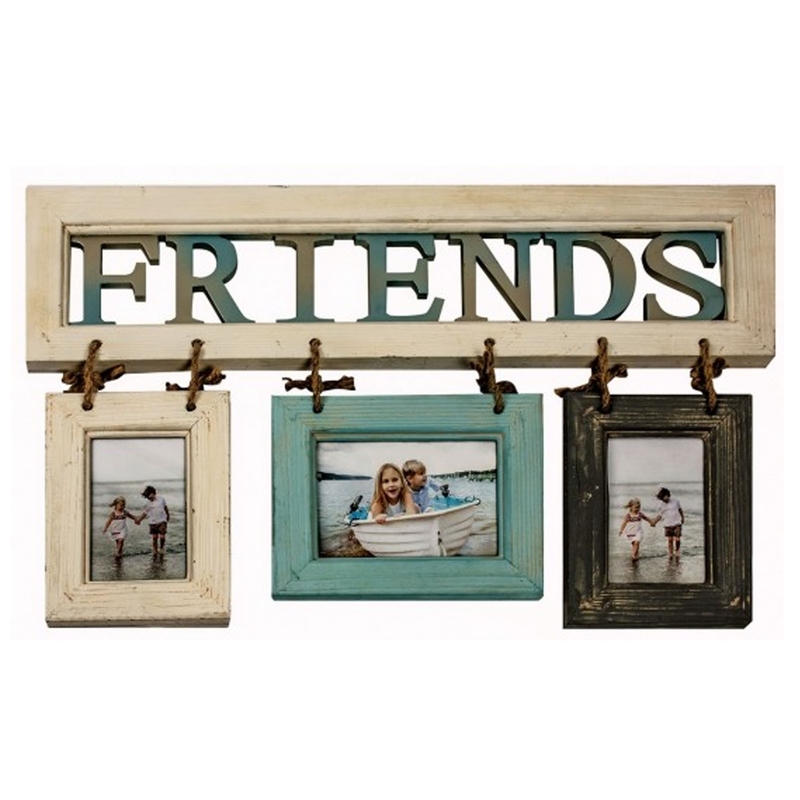 It has 3 hanging photo frames with a stunning 'Friends' design. It'd look brilliant in any home because of it's lovely, calming colours. It has a blend of white, blue and black. It's sure to create a calming, friendly atmosphere because of it's happy design.